Shameless Self-Promotion: Utilizing Swan’s paperless lease-drafting template, you can configure unique lease terms in a myriad of ways. 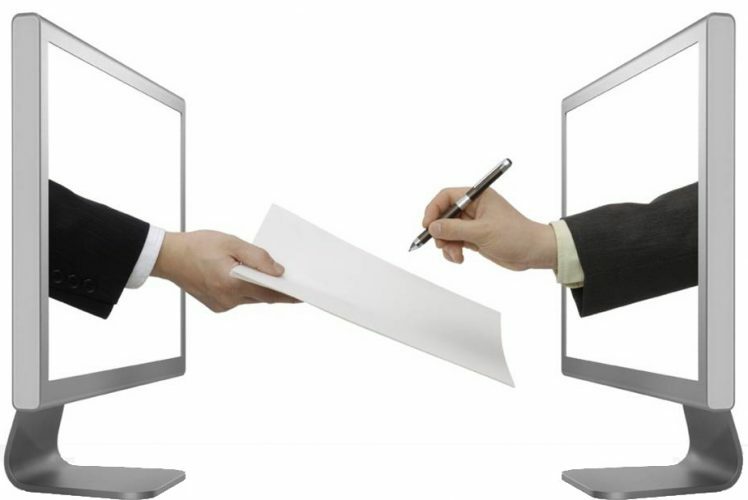 You can even upload a paper copy of your own lease and we do the rest. They don’t call us The Rental Easy Button for nothing! Now, lets take a look at the basics of a lease including the most important terms to watch out for. Whether you’re getting your first apartment or your 10th, reviewing the lease is an all-important step of the process. After all, that piece of paper is basically going to dictate your home life for at least the next year. The problem is, your standard lease is riddled with unnecessarily big words, tiny type, and confusing legalese. If you’ve skimmed—or were simply confused by—your lease in the past, we won’t judge. We’ve been there! But now we’re here to help you master that lease by pointing you to the terms to eyeball before you sign on the dotted line. The lease term: Make sure you know—down to the exact date—when you have to re-up or move. Upfront fees: Security deposit, pet fee, rent paid in advance (if you paid for it, it must be listed). Rent term and due date: How much you owe and when you need to pay it. Late fee: How much you’ll pay if you miss the rent deadline. Security deposit return: Your state puts a limit on return times, but what you should get back, and when, should be clearly spelled out in the lease. And remember, the lease is legally binding. Once signed, your landlord can’t change anything without your written permission. If he does, say, increase the rent mid-lease, you have the right to sue or possibly terminate the lease. Beyond the basics, your lease will likely have several other clauses, like “occupants.” Sure, you’re technically an occupant, but for the purpose of the lease, you’re the lessee (aka the person the landlord can go after if something goes wrong). Typically, roommates sign on as co-lessees, so everyone is equally responsible. Spouses, children, and other family members, however, can be listed as co-lessees or occupants (meaning they live there but aren’t legally responsible for maintaining the rules of the lease). If you have a pet, this one is a biggie. A pet clause tells you everything you need to know about keeping your pet at home. The clause should contain the number of pets you can have (if any), their breed, and age. It should also include what pet deposit you paid, whether that deposit is refundable, and the pet rent amount (if any). If this section is missing or left blank, your landlord could later say he never agreed to your having a pet and terminate your lease early. Make sure it is complete! Condition of the premises has two parts. The first part says your landlord legally swears the property is being rented in habitable condition—i.e., everything works and there isn’t a known mold or rat infestation. If your landlord signs off and you move in only to find out the place is a total dump, you have the legal recourse to terminate the lease. The second part covers you. By signing, you’re agreeing to return the rental in the condition you first rented it, minus any wear and tear. If you don’t, your landlord can deduct from your security deposit to make repairs, or sue you if the repairs exceed what you put down. This section basically says you can’t make changes to the rental without getting your landlord’s written permission first. Changes include everything from installing a dishwasher to painting the bedroom to even taking down your landlord’s miniblinds in some cases. So make sure you know what you’re not allowed to touch. Addendums are anything your landlord adds to the lease, beyond the standard protocols. Addendums can include noise level clauses, visitor stays, or who is in charge of lawn care. But remember: Your landlord can’t enforce it if the law says no. So for example, if your state has a 30-day turnaround on security deposits, your landlord can certainly say all security deposits are returned within 90 days in the lease; but if you sue to get yours back faster, the landlord will lose in court. Termination explains how the lease will end, but be careful—it goes beyond the end date of the lease. Some leases contain an automatic renewal clause, meaning the lease renews for another year automatically if you don’t inform the landlord in writing that you want to move in advance. If you weren’t aware and go to terminate the lease after the notification period, you could be on the hook for early termination fees.